Wouldn't it be nice if your paycheck came with an instruction manual? "After rent and student loan payments, you can spend up to $250 on fun this month!" 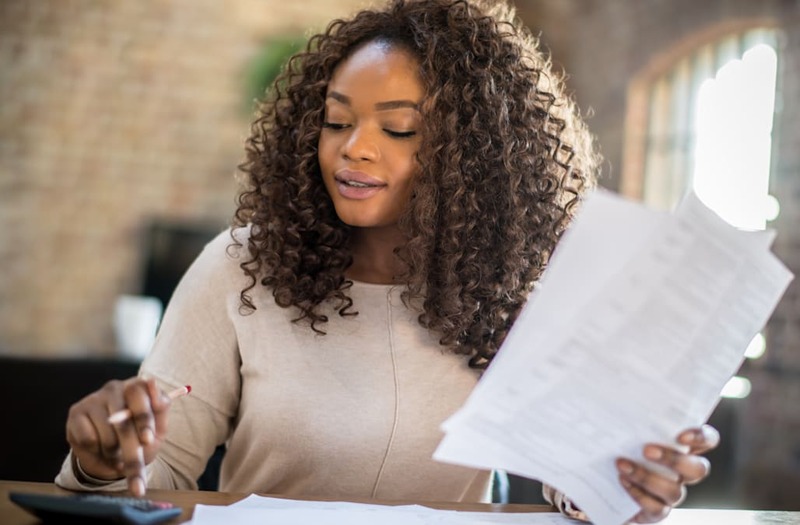 Alas, managing cash is never so simple, and your meager salary — coupled with a brain that's hardwired to chase short-term rewards — makes saving and growing your money a lot easier said than done. The stress of managing money affects most people: Three in four Americans report having at least one notable financial worry, according to a 2016 NerdWallet survey. Common concerns included not having enough in emergency savings and not putting enough away for retirement. While some anxiety in life is inevitable, one of the best gifts you can give yourself is relief from money worries: by making moves that will ensure you'll develop a thriving career and grow wealthy over time. Mic interviewed experts in financial planning and human psychology to narrow down the most crucial ways to banish money woes and grow richer: Here are the 10 commandments for financial success. Ask any certified financial planner: What's the absolute most important money move people should make? The answer is simple. Take stock and make sure you know yourself — how much you need and how much you have. "Always start with a basic budget," Dan McElwee, a certified financial planner with Ventura Wealth Management, said. "It is critical." The reason why budgeting is such a universal step one for getting ahead, McElwee explained, is because you can't really be thoughtful about how you're spending, borrowing and saving without one. If you're still dragging your feet on this fundamental money move, put a positive spin on it: Think of how much better you'll feel when you know that you can afford that extra round of beers; you might even enjoy them more. "It really is psychologically powerful to be able to say, 'I'm in control and know what I'm spending,'" McElwee said. "A lot of time people feel helpless, and when you're using a tool to budget, it helps you feel like you're in control." Not sure where to start? Here's Mic's five-minute guide to budgeting. You might also try using a budgeting app. Once you've gotten a handle on how much cash is coming in and going out, it's time to move the needle in the right direction by making more money. For that, you'll need to acquire some marketable skills. How can you start? Yes, you know you should probably hone your digital chops with cutting edge technology skills, consider jobs that will be plentiful in the future (and can't be stolen by robots), and develop any gig-able skills that could turn into a real career if you enjoy using them to rustle up side cash. But there's a trap you might be best off avoiding if you're trying to grow as a worker, according to Gian Gonzaga, a psychology Ph.D. who runs data analysis for online lender Earnest: graduate school. It's not always worth the financial commitment or debt: "Our psychology is really biased to short-term thinking," Gonzaga said. "People go to grad school because they love that subject." If doing what you love can pay the bills, Gonzaga said, citing computer science and physics as possible fields — then grad school can be a great idea. But taking on a ton of loans for a degree that won't help you earn more money is risky and potentially unnecessary. After all, plenty of high-paying jobs don't require grad degrees, and not all higher education will get you premium pay. Now, if you were hoping a graduate program would help you discover your calling, don't despair. It's never too late to figure out what you're passionate about — and you don't necessarily need school to figure it out: Mic has a guide to help you with that, too. Once you've got a great job and a sensible budget, it's time to start taking steps to ensure you're not running on the hamster wheel forever. There's a light at the end of the tunnel: retirement — but it'll only happen if you start stashing money away, the sooner the better. "10% of your salary per year minimum" is the right amount to save, McElwee said. "That is critical to ... hitting your goals." The good news here? Millennials are already pretty decent at this, or at least better than Baby Boomers. The problem is longer lifespans and other factors suggest today's young people may need to be saving more to stay on really stable ground: Maybe even 15% or 20%. If saving instead of splurging brings you no pleasure, do yourself a favor: Set it and forget it with an auto-deposit that deducts straight from your paycheck. Keeping a level head about your money is a lot easier said than done. Your emotions aren't your friend, especially during a market downturn, like the bear market that began in 2007. "People make bad financial decisions when they're under financial stress," McElwee said. "And in a bad market, people make bad decisions because they're emotional. It's not because they're dumb, it's because their fear of loss is so much greater than their desire for gain." Writ large, this means investors in the market tend to overreact: Bad news sends the market tumbling more than it should — and good news can lead to unjustified stock market runs. That's why changing your 401(k) portfolio based on what's happening in the news is dangerous. Not only is market timing difficult, but you're also racking up fees every time you move money due to so-called "transaction costs." Better to stay invested for the long run — through thick and thin. More and more retirement plans are offering set-it-and-forget-it investments through target date funds, which rebalance to become less risky as you age and approach retirement. 5. Buy a home because you want one, not as an "investment"
Young aspiring homeowners tend to overlook many of the expenses associated with owning a home that don't plague renters — which leads many of them to overspend on their first real estate purchase. Maintenance costs and property taxes make buying a home take a long time to pay off, meaning you could be on the hook for 10 years or more, according to some financial planners. What's more, many young people today have only lived through boom years as adults, McElwee noted, which adds to the false impression that buying a home is always going to be a good investment. The reality is a lot more complicated. Even in a good market, homes can be hard to sell: "Real estate isn't liquid," McElwee said. "You can't take your house to the bank tomorrow and have them give you a check for $500,000." If you are saving money, you should feel pretty good about yourself: More than half of Americans have more on their credit card balance than they do in emergency savings, according to a February survey from Bankrate. But taking your good behavior a step further to build savings into real wealth will require even more effort and planning. To be better than the crowd, you will need to be thoughtful about how and where you save. Research out of the University of Toronto suggests that the impulse to save for too many different things at once can be paralyzing and can keep people from saving anything at all. In other words, trying to save separately for your dream home, its furnishings, and that in-ground pool you've always wanted will likely lead you astray. Instead, bundle savings goals together and rename your savings account — "Dream home fund," for example — to keep yourself motivated. Other research suggests that surrounding yourself with visual reminders makes you more likely to save. If you're finding yourself coming up short each month, consider leaving a few vacation brochures around the desk where you do your finances. Motivation! Finally, be thoughtful about where you are putting these savings. Different goals require different strategies. If you want to save $1,000 for a medical emergency, for example, you'll want to keep it in a checking account that you can access at a moment's notice. Just select one that pays interest so your money grows a little as it sits there. But if you want to put that $1,000 toward a longer-term savings goal, leaving it in a plain bank account will cost you big time if there's inflation. You might instead invest it in the market — or hedge against price inflation and preserve your purchasing power with Treasury Inflation Protected Securities. While it may seem romantic to live fast and die young, reality is never so kind — and you're taking a big risk by not buying insurance, in all of its forms. The most important base to cover is health insurance: Though there's a possibility buying a policy will no longer be legally required if the Affordable Care Act is repealed, it doesn't mean you can just go without. Medical debt is a huge problem in the United States, one that can often lead to bankruptcy. As for other "flavors" of insurance, certified financial planner Sophia Bera suggests that renters insurance is also on the must-have list for millennials. While renters insurance is often an afterthought, it will protect you if your apartment gets flooded or burgled. Without it, you can lose almost everything. Chances are you have a little money owed to you that you've forgotten about. You'd be surprised: One report estimates that are $42 billion in unclaimed funds just chilling in state treasuries. There are many reasons money goes unclaimed — from misplaced lottery tickets to that savings bond from your great aunt you forgot to redeem. Luckily, the government has a website that makes it easier to track that cash down. On a similar note, class action lawsuits also provide a similar opportunity to cash in, although payouts may vary greatly. Stay abreast of current cases using a database like consumeraction.org to ensure you never miss a claim. Finally, check out Mic's guides to rustling up a little extra cash in 30 minutes — and three minutes — and every day this month. Every little bit adds up. There's solid evidence that young people are neglecting a crucial money move — building great credit history: Surveys suggest millennials are avoiding credit cards more than older generations have in the past. While credit card debt is a big no-no, developing credit history through on-time payments is important for improving your credit score. Otherwise, you're looking at higher costs down the line on everything from your mortgage to your car to your loans. If you're plastic-free and hobbled by an embarrassingly low credit score, the best thing to do is get yourself a secured credit card and pay down the balance each month. It won't happen overnight, but paying off the balance each month and keeping your credit utilization low (i.e., staying as far away from your limit as you can) will put you on the road to recovery. Play your cards right, and there could be serious perks in your future. Now that you've mastered investing and can make a household budget in your sleep, try not to let it go to your head. Share the wealth, both literally and figuratively: Researchers have argued that selflessly helpful people — like the medical student who spares time to help peers study — tend to get rewarded for their efforts in the long term. And one study found that people who give away more of their time and their money reported lower rates of depression and greater happiness overall. This is not to say you need to give away all your cash, co-sign on loans for an irresponsible friend or lend out money you can't afford to put on the line. But do remember to make relationships a priority — and put people in your life first. It's relationship woes, not cash-flow problems, that are the biggest cause of unhappiness, according to a study from the London School of Economics.